↑ ୧.୦ ୧.୧ "Census of India, 2001". Office of the Registrar General, India. 2 March 2002. Archived from the original on 16 June 2004. Retrieved 28 May 2010. 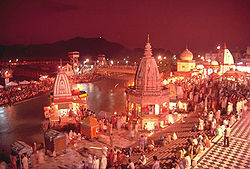 Official website of Haridwar district.